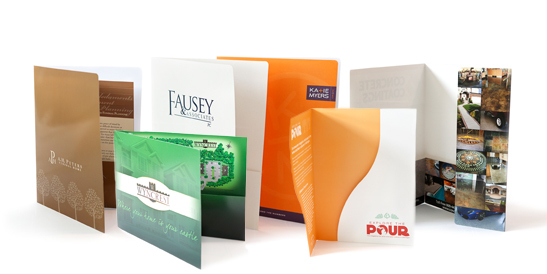 Having an attractive media kit folder to house your marketing materials is the difference between a potential client and a walk by. Choose from a huge selection of glossy and non-glossy stocks available in a rainbow of colors and styles. 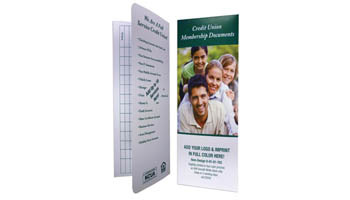 Need a special size with special features like expanding pockets or brochure slits? 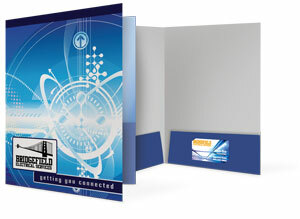 PaperCraft stocks the largest selection of media kit folders in the industry from portfolios to certificate covers to photo holders and much more. 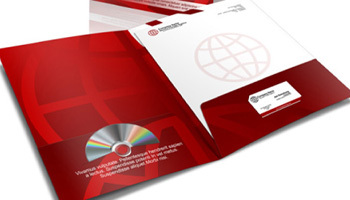 When can I use Media Kit Folders? 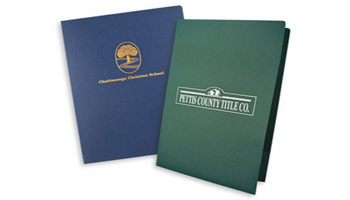 More than you think: Proposals to clients, new hire info packets, sales kits and seminars, the list is endless. You invest a great deal of time, effort and money on putting together a compelling presentation to win business or educate an audience, so why not present it in the most attractive manner possible? You could use e-mail, but we all know that most marketing emails get dismissed as spam and the rest get no action or response. Paper is permanent and it’s powerful.